Thanks for taking a look over my Portfolio! Whether your project is new writing, a showcase or work in progress, a Play, a Musical, or something completely different - please do get in touch as I would love your project to be the next addition to my portfolio. 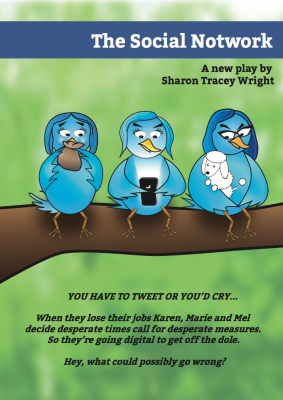 From Royal Academy of Dramatic Art (RADA) to an Off-West End transfer at The Lion and Unicorn Theatre, The Social Notwork marked the third play I have collaborated with Sharon Tracey Wright on achieveing sell out audiences and 4 star reviews. 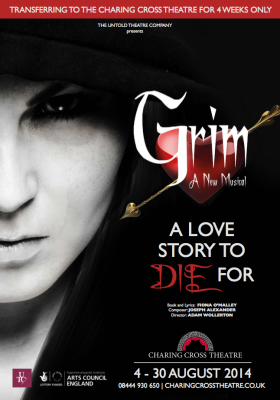 Friller has so far been produced as both a play on tour and as a site specific piece at Ponden Hall, Yorkshire. Eventually this comedic tale based on the true events and life of female aeronaut, Miss Lily Cove, will hit the London stage - so keep your eyes on the sky! 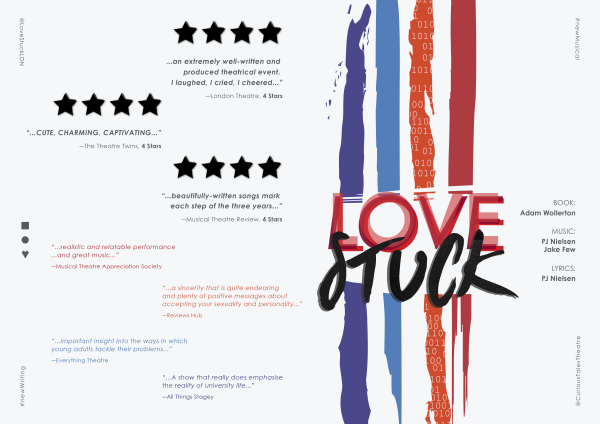 LoveStuck was the first musical I wrote and premiered with Curious Tales Theatre at The Cockpit Theatre, Marylebone, London. It received wonderful 4 star reviews and very positive acceptance of the messages I wanted to convey as a writer of LGBT fiction. 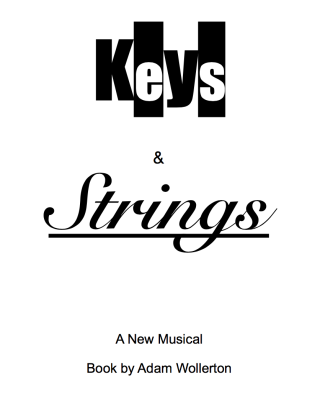 Earlier this year I completed 28 Plays Later for The Space / Theatre Deli, have penned Keys and Strings Musical currently in Pre-Production, and have finally committed to writing my first full length LGBT novel, Patchwork​. Stay tuned! 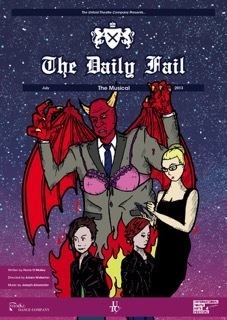 The Daily Fail: The Musical was the first production I had worked on to achieve an Off-West End transfer from a local theatre in Kingston Upon Thames, to Waterloo East Theatre, London. This satirical piece was based on the infamous Hacking Scandal and was loved by audiences over two weeks of performances in the two venues. This is just a brief insight into my latest exciting projects and some of my recent favourites that have had a great impact on my career as a Theatre Producer, Director and Writer. If you would like to discuss my portfolio further or any other productions I have been involved with, please do not hesitate to hit the 'Contact' tab and let's chat!